To add some dimension to a single-layer cake, ruffles will create some extra volume and interest. 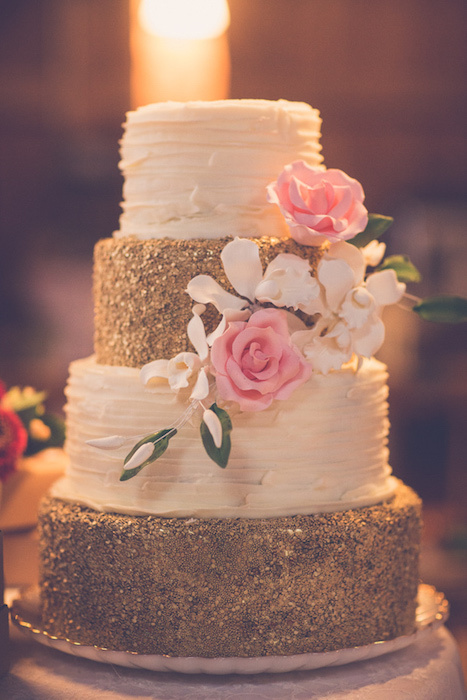 Edged in gold, the metallic touch proves that small cakes still have enough impact. 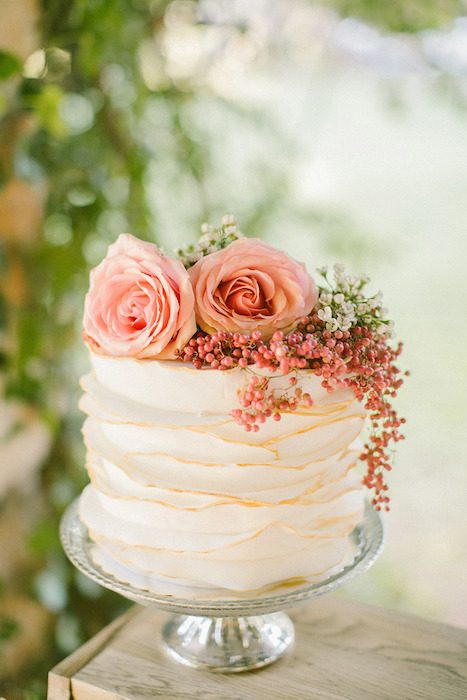 These flowers are the definition of how to incorporate texture into a wedding cake. 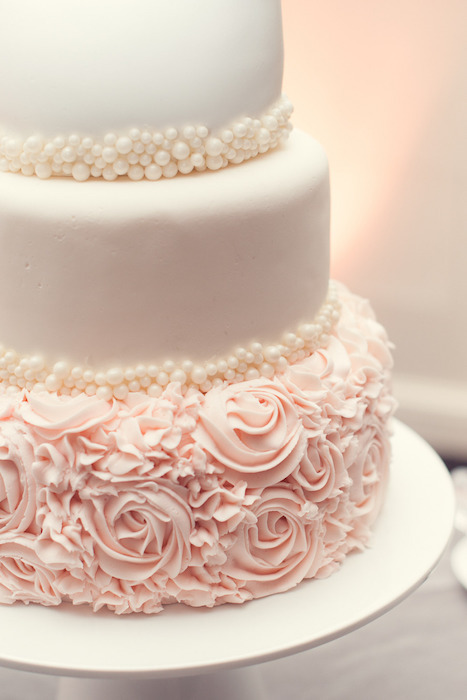 The pearls work well with the flowers too and really show how a simple white cake can be elevated. Fondant isn’t the only way to go for cake coverings, buttercream looks just as lovely. 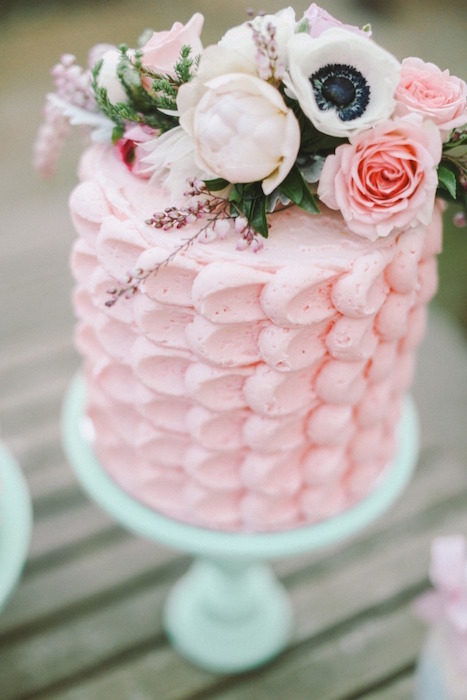 A pink buttercream with a petal effect goes perfectly with a combination of fresh flowers. If you plan on making the cake yourself, this technique is a good one to learn if you’re not confident in rolling fondant. 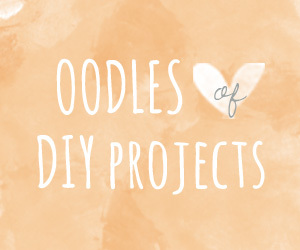 For another take on this trend, go for a raised piped design. It gives the look of additional texture without adding too much. This is a great idea for larger cakes as the end result isn’t too overwhelming. 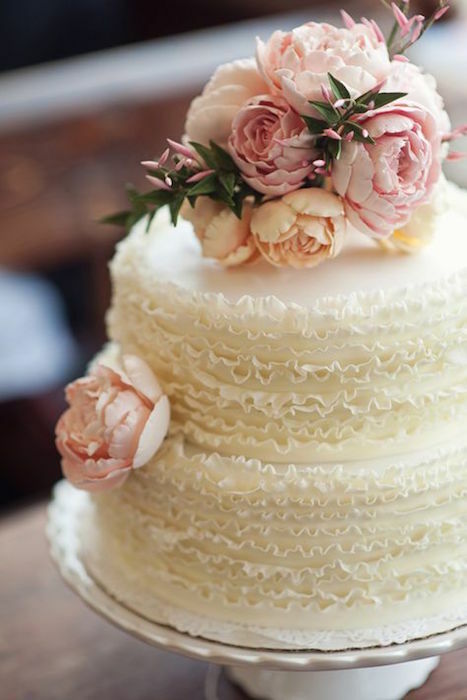 These delicate ruffles are very pretty and give the illusion of a layered or crepe cake. With this detailing, some pink and peach blooms are all that’s needed to complete the look. 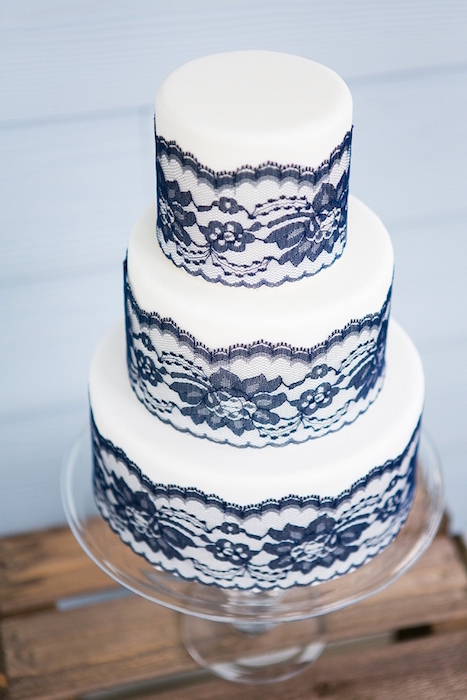 Lengths of blue lace have a vintage feel that looks striking against a traditional white cake. Another option if you wanted to cut costs on your cake, as you can add the lace to a simple design. 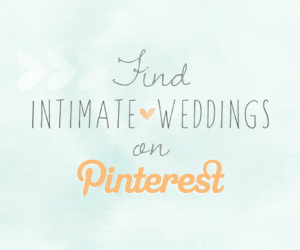 Woodland weddings filled with nature and leafy elements have so many gorgeous decor options. 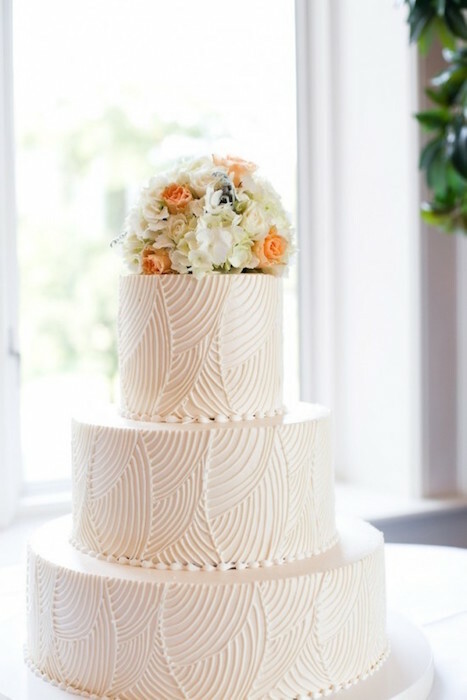 If you’re looking for a way to incorporate this theme into your cake, then this is such an elegant idea. 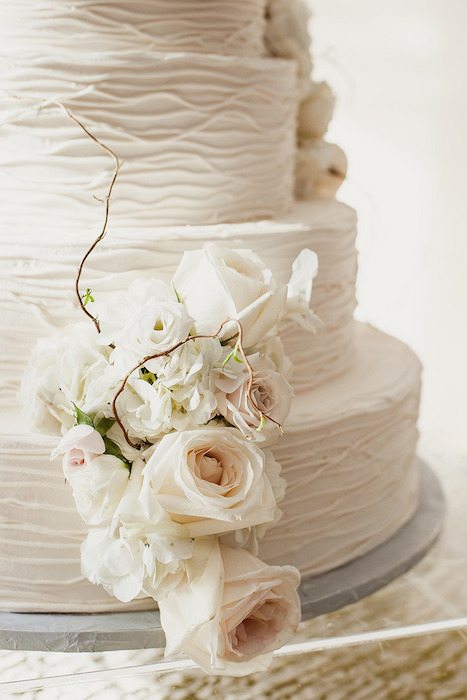 The piping on the cake replicates the look of branches in a neutral way. 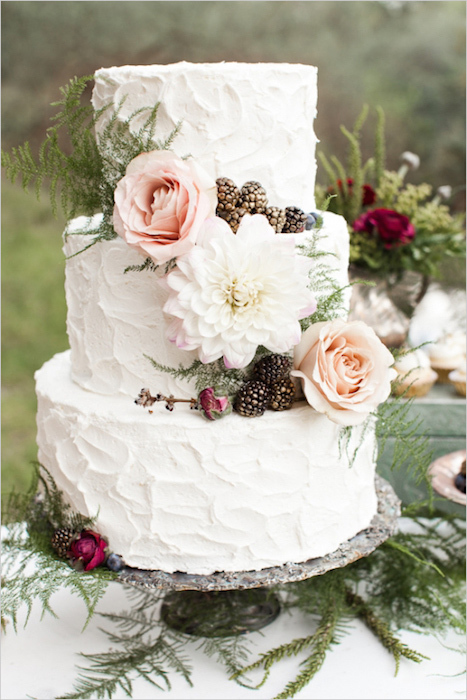 This buttercream decoration has a rustic effect, perfect for an outdoor wedding when paired with wild berries and fern. Ruffles and glitter are surely a match made in heaven. Especially when it comes to cake decorations. Double the texture with alternating tiers that add both dimension and style. 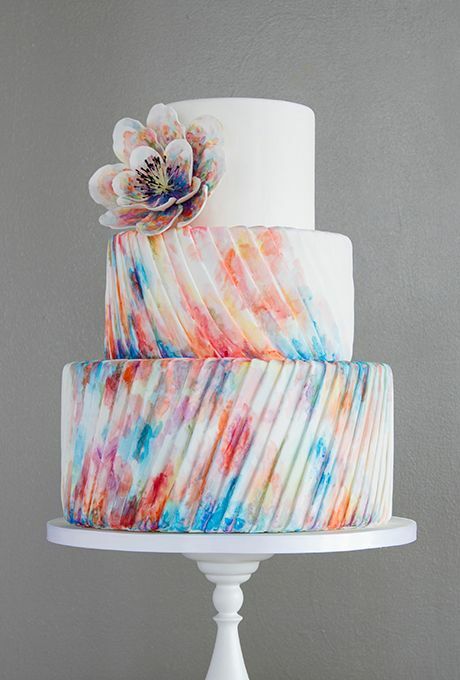 Isn’t this watercolor-inspired pleated cake a show stopper?